Rental companies getting into the Christmas spirit. Ain't nothing like the real thing baby. In this market, why buy anything? Especially a Christmas tree. The annual ritual of vacuuming dead spruce needles off of living room floors well into January is over -- for those who go the greenest of options and rent a living Christmas tree, according to the Contra Costa Times. 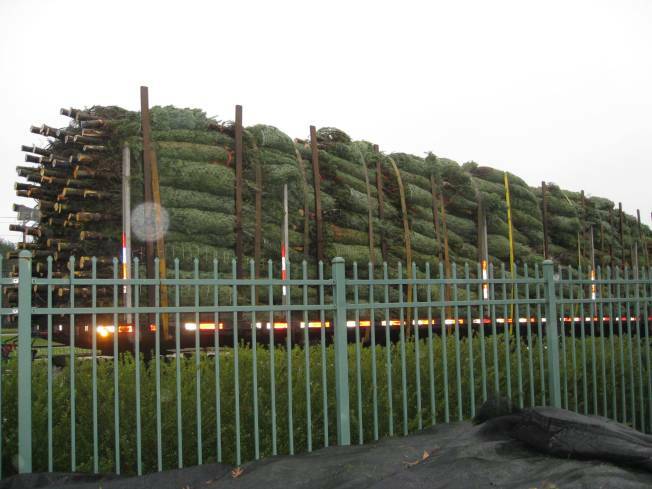 The Grace Lutheran Church in Palo Alto went this green route this year, renting an 11-foot-tall live redwood from San Jose Christmas Tree Rental, the newspaper reported. Rental trees are an old fad in the Northwest and British Columbia, but still on the edge in California, the newspaper said. At the San Jose rental forest, a tree runs about $95 to $280 for the biggest splinters, and a renter can rent the same tree year after year for some continuity. Rent A Living Christmas Tree, based in the South Bay, rented about 400 trees last year, for $60 for a 6-foot Deodar cedar to $140 for an 8-foot Norman fir. Real trees do need more upkeep: they must be watered daily and they need a little sunlight. But they don't die -- so there's that.